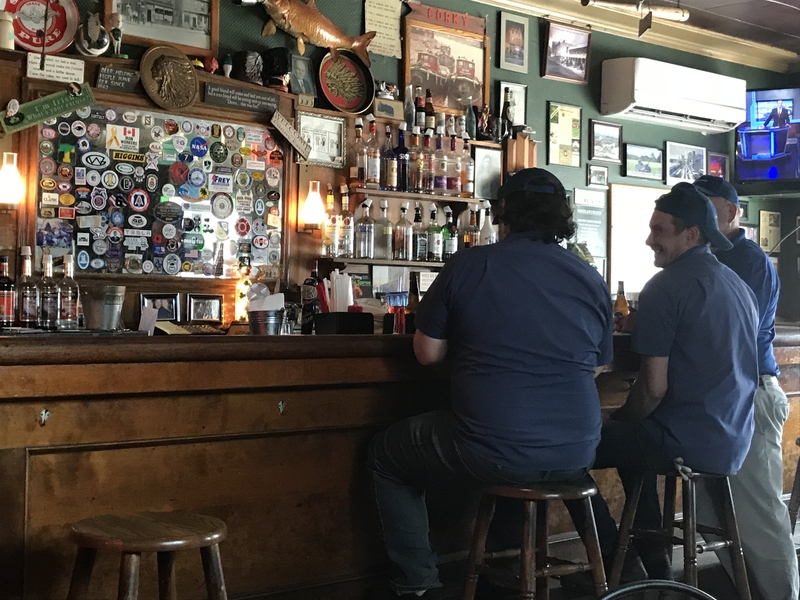 Swannie House: Located just south of downtown at 170 Ohio St. near the Buffalo River, this is a casual Irish restaurant and bar, dating from 1886 with traditional pub food. 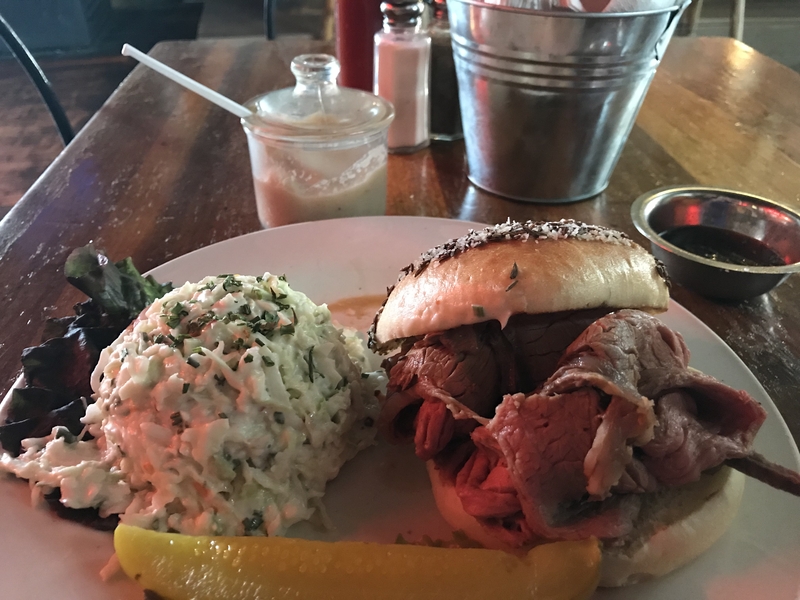 I had to go and try the Beef on a Weck, one of the popular local dishes dating back from 1882. This is a sliced roast beef sandwich on a kummelweck roll. This roll or bun is topped with with kosher salt and caraway seeds for a distinct taste. It often comes au jus for dipping and also with horseradish. I had a great experience in this fun spot. Charlie The Butcher: Thanks to the rental agent at Alamo at the Buffalo Airport, I was directed to Charlie the Butcher for lunch. It is near the airport at 1065 Wehrle Drive in Williamsville, NY. 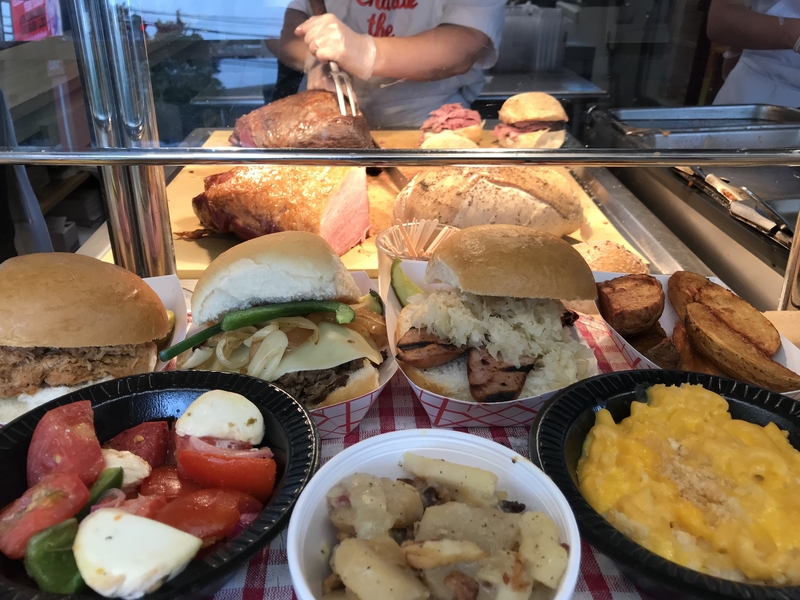 It is a diner type restaurant featuring sandwiches including Beef on a Weck, a Buffalo tradition, ham, turkey, corned beef, meatloaf and roast pork plus sides and daily specials. 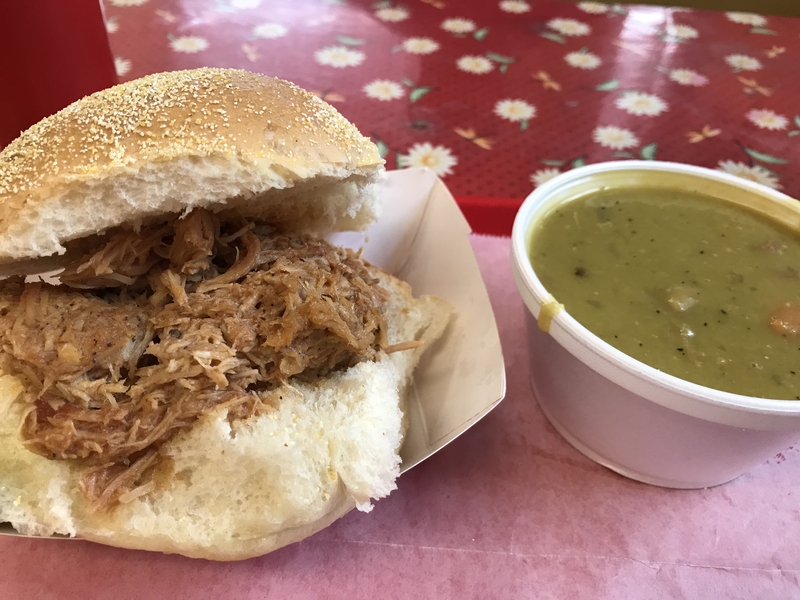 I had a great BBQ pulled pork and turkey sandwich and split pea soup. I loved the atmosphere! 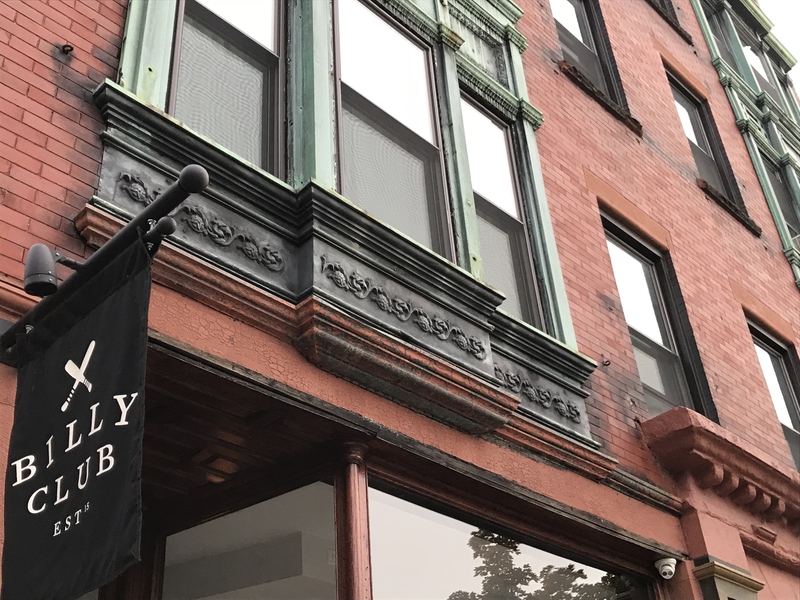 Billy Club: On my first night in town, I enjoyed Billy Club with a friend at 228 Allen St. 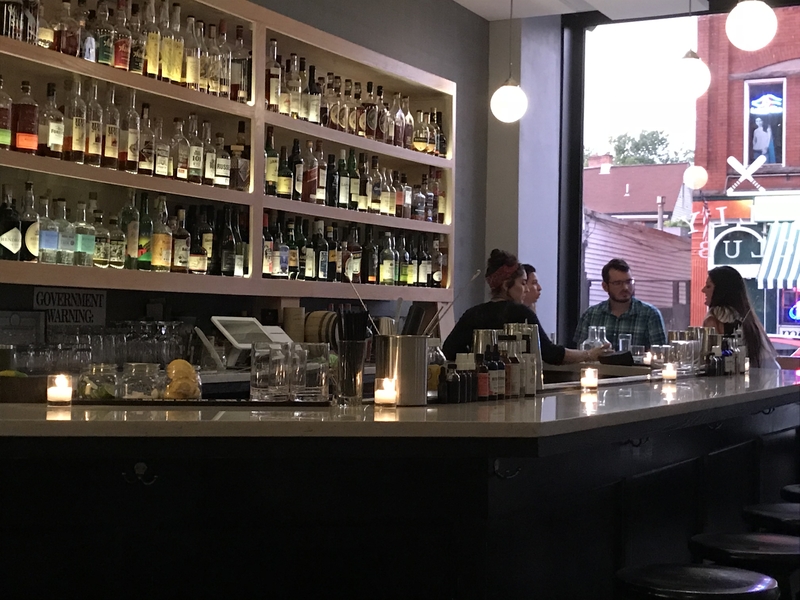 This is a small neighborhood bar and restaurant that features an extensive cocktail menu and farm-to-table cuisine. I thought the halibut entree was excellent as was the seared duck breast. I highly recommend it. Open for dinner and Sunday brunch, it is located in the Allentown Neighborhood. 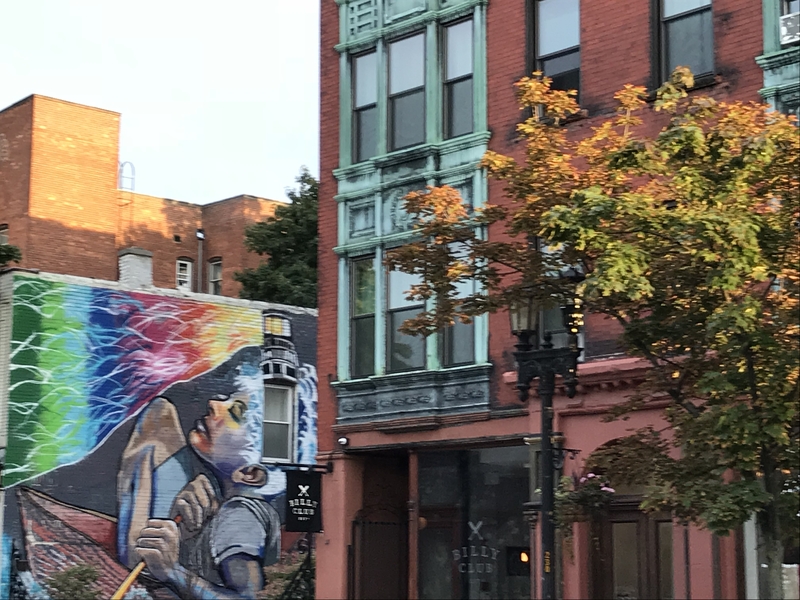 Allentown is a central Buffalo neighborhood featuring colorful wall-size murals, live music bars, galleries, restaurants and shops. Across the street from Billy Club is Old Pink at 223 Allen St.; it is a casual bar and grill. 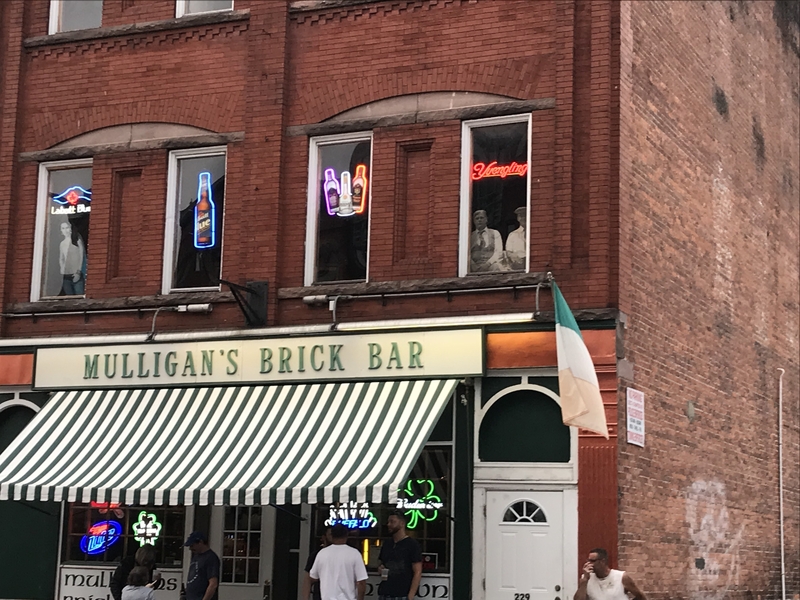 Nearby is Mulligan’s Brick Bar at 229 Allen St., a longtime fixture in the neighborhood. Gabriel’s gate was recently featured in the Wall Street Journal as a fun tavern with great Buffalo Wings at 145 Allen St.
Buffalo Proper: Buffalo Proper is a gastropub featuring farm-to-table cuisine and cocktails. 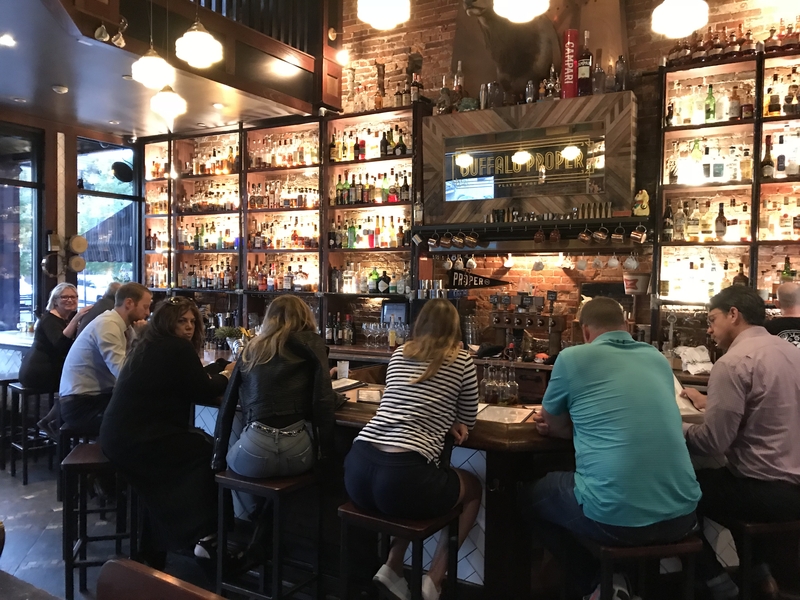 The old brick building is located in Buffalo’s booming downtown theater district at 333 Franklin St., a block east of Delaware Ave.
Just to the north is Row House Bakery + Restaurant at 483 Delaware Ave. 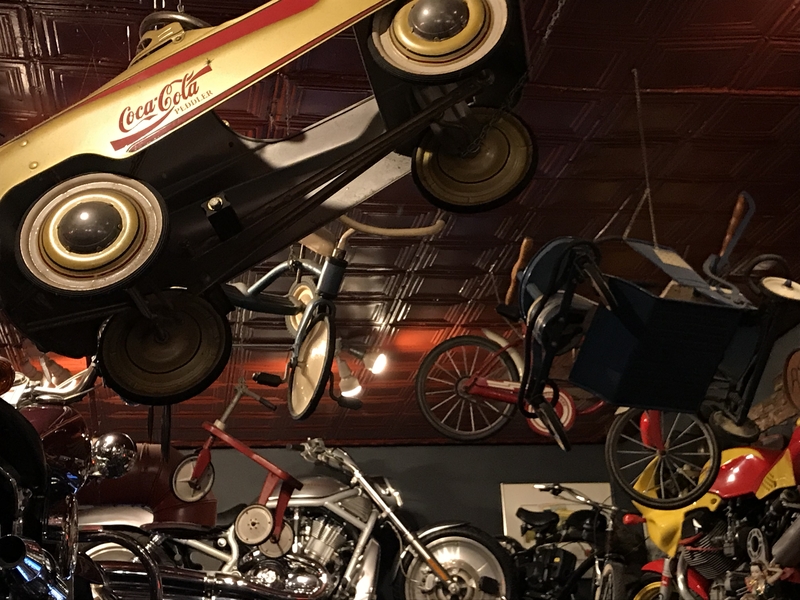 Located in another historic building, this is a casual cafe, artisanal bakery and restaurant. The menu features locally sourced ingredients. They also have a sleek cocktail lounge. 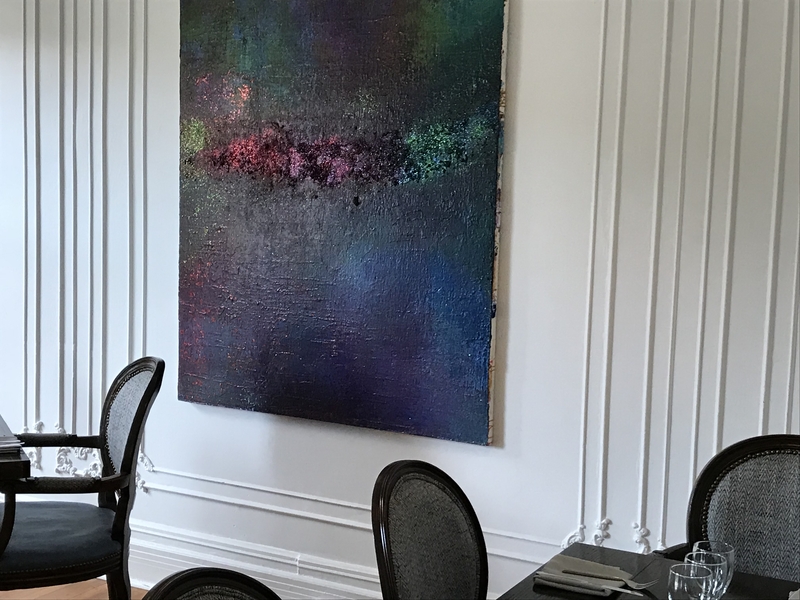 I enjoyed a casual lunch between touring the historic neighborhoods and great art museums to the north. 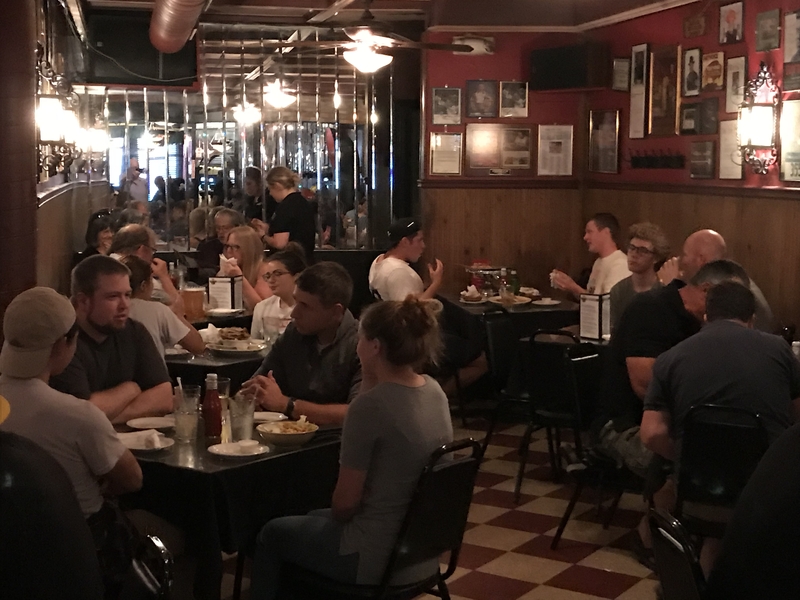 The Anchor Bar, since 1935, is the home of the the original Buffalo wings. Their first wings were made in 1964. It is a must to visit when you are in town. 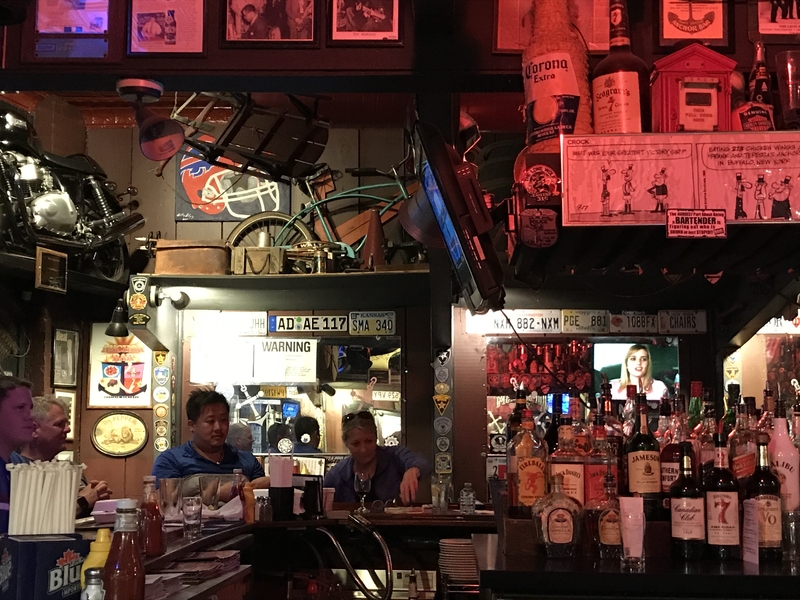 The atmosphere is amazing and the bar is decorated with a large collection of license plates, photos and other memorabilia. It won the 2003 James Beard Foundation Award for being one of America’s Classics. The wings are great as are the cocktails. 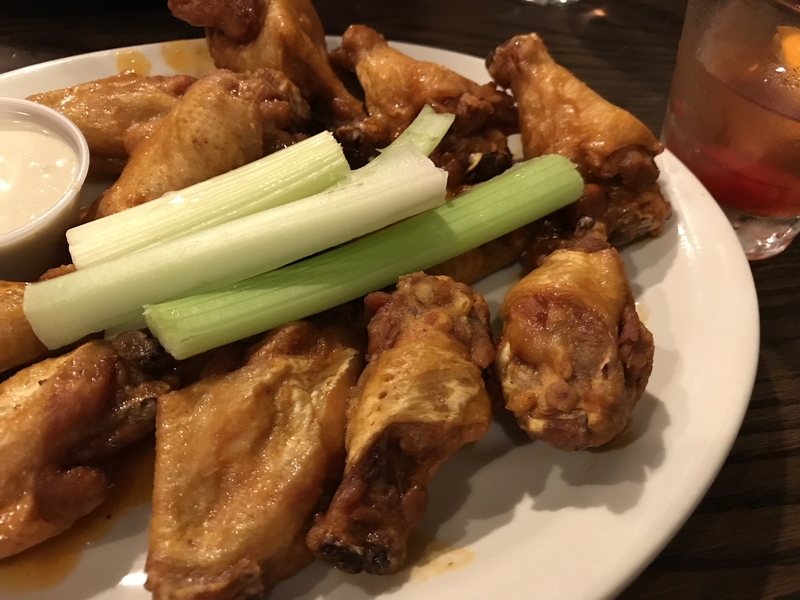 They have several locations in Buffalo and in other states, but I would definitely make sure to visit the original location at 1047 Main St.
You can try the wings here and at 11 other bars and restaurants in town on the local Buffalo Wing Trail. 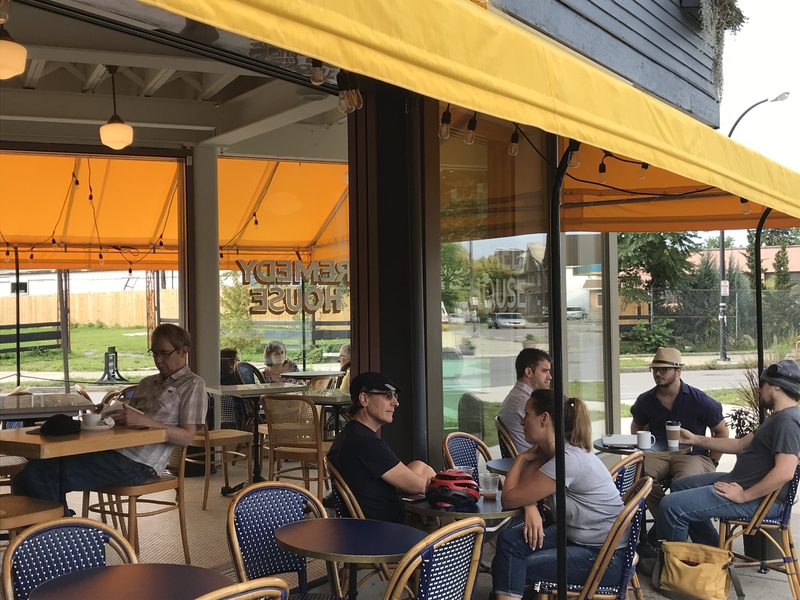 Remedy House Coffee: Coffee lovers will love this Parisian style neighborhood cafe located at 429 Rhode Island St. in the growing West Side. 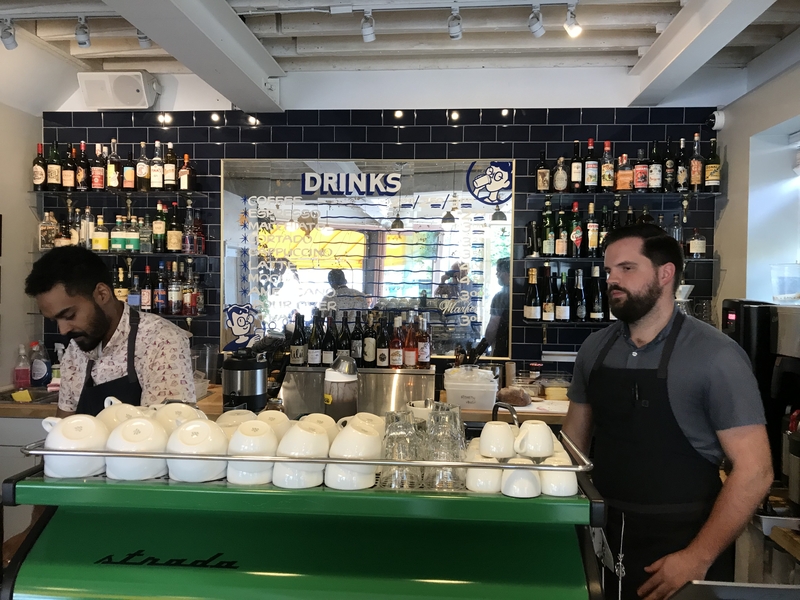 It offers great coffee drinks and food items. Tipico Coffee, at 128 Fargo Ave., comes highly recommended for their coffee as well. Five Points Bakery and Toast Cafe, at 44 Brayton St., comes highly recommended for their breads, toast and pastries. 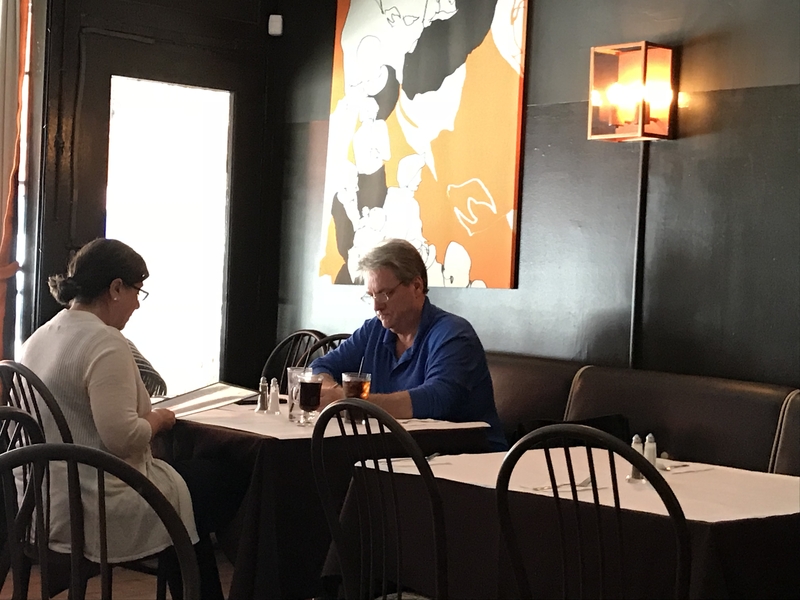 CRāVing: This is a casual, farm-to-table restaurant that is open for lunch, dinner and Sunday brunch. It is located in the heart of North Buffalo’s Hertel Shopping District. I found it to be a great location for lunch after touring Frank Lloyd Wright’s Martin House, nearby. 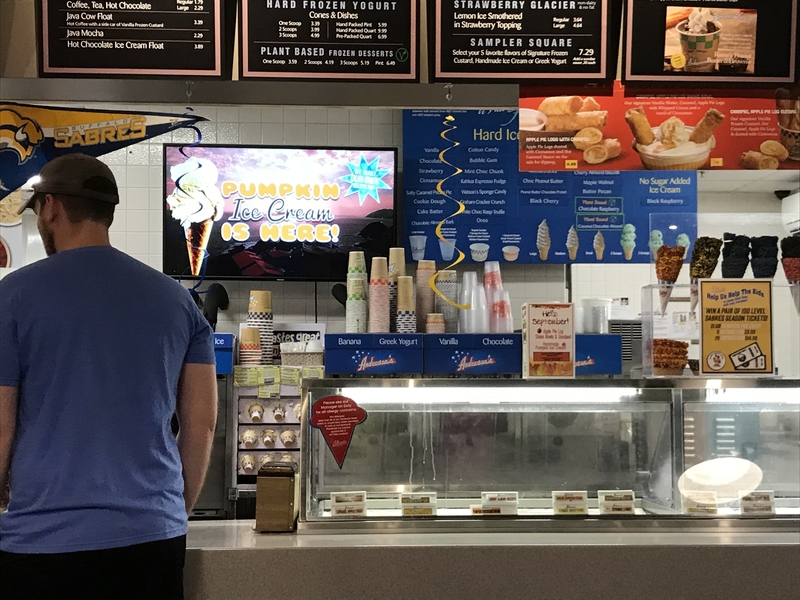 1472 Hertel Ave.
Anderson’s Frozen Custard: This is a classic, local spot for great ice cream/frozen custard. 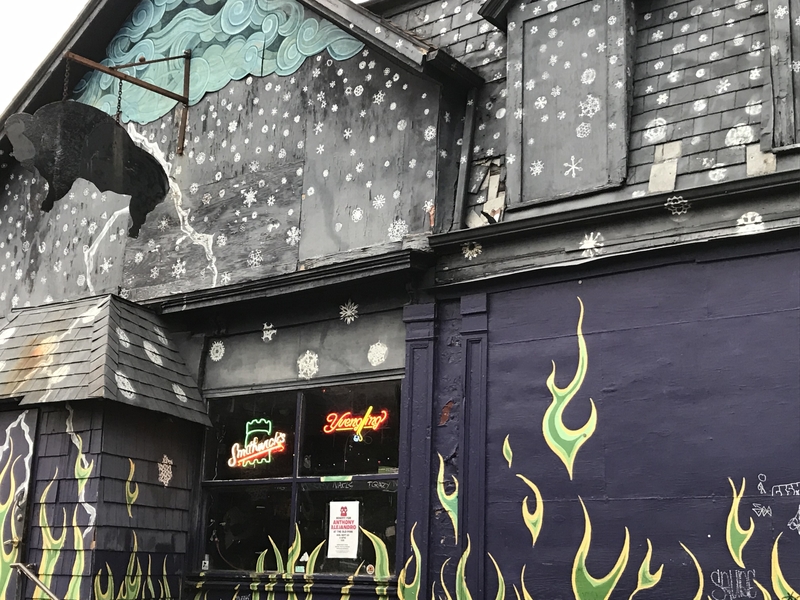 With six locations, we went to the 2634 Delaware Ave. location. The original location is further north at 6075 Main St. in Williamsville. Check the website for their special flavors of the day. 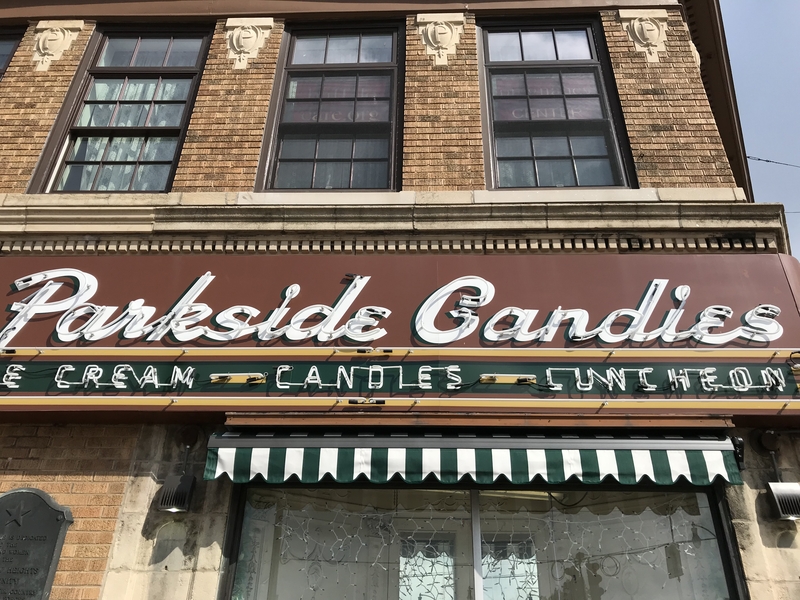 Parkside Candies: This is a classic ice cream parlor and candy shop selling chocolates and ice cream at 3208 Main. Founded in 1918, it has an old world atmosphere! Don’t miss it. 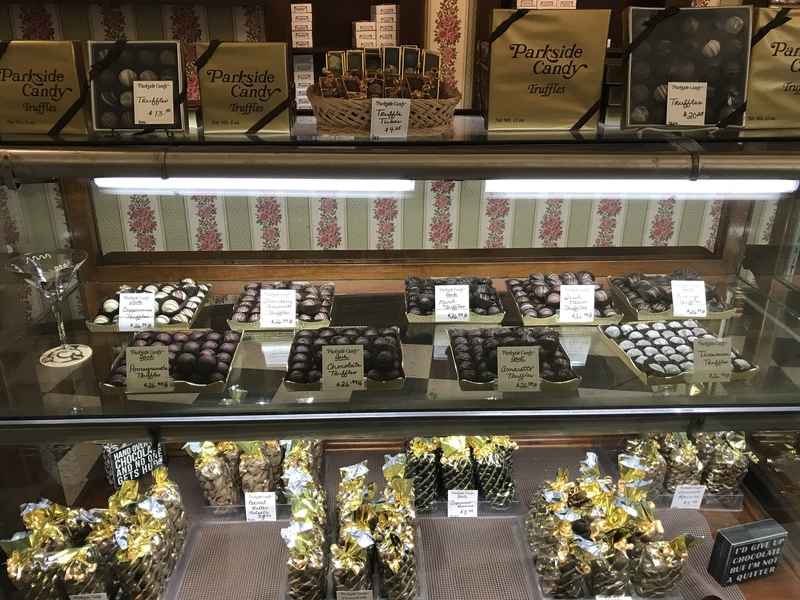 Watson’s Chocolates, 738 Elmwood: They have eight locations in Western New York. They carry a large selection. 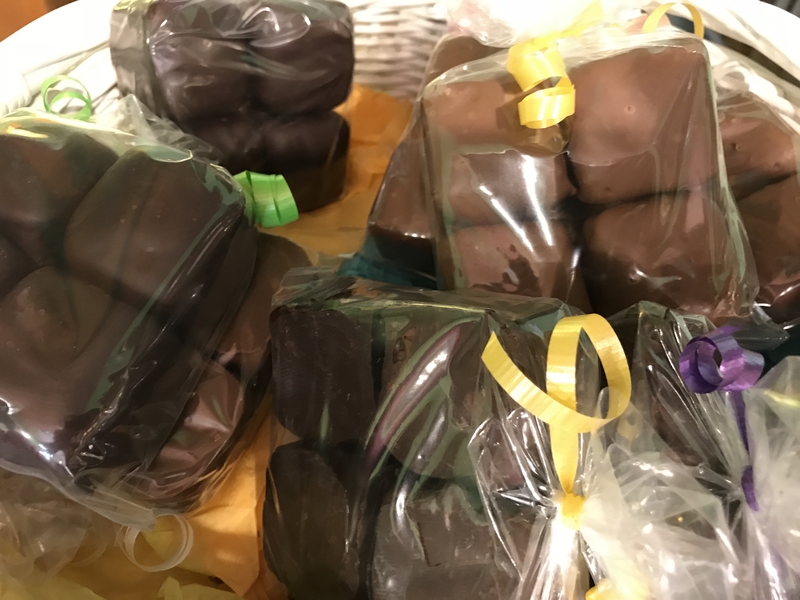 Make sure to try their sponge candy. It contains crispy chunks of caramelized spun sugar covered in dark or milk chocolate. Marble + Rye comes recommended for it great food and cocktails, while Las Puertas is popular for it upscale Mexican cuisine. For casual dining, Ted’s Hot Dogs, with several locations, is popular for its charcoal-broiled hot dogs, onion rings and milkshakes. The Dapper Goose is known for its seasonal American food and cocktails while Dobutsu is an Asian-inspired seafood restaurant. 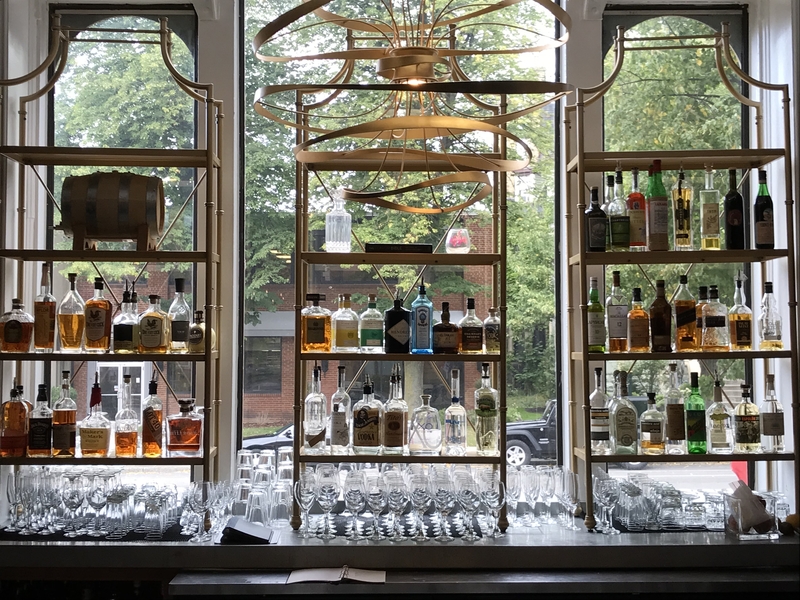 The The Black Sheep Restaurant & Bar is an intimate farm-to-table restaurant on Buffalo’s West Side and Toutant gets good reviews for its Southern cooking. Roost on Niagara St. gets very good reviews for its pizza.